Arnon Milchan behind Hollywood hits Pretty Woman, LA Confidential and Fight Club has admitted he served for years as an Israeli spy, buying arms on its behalf and boosting its alleged nuclear program. 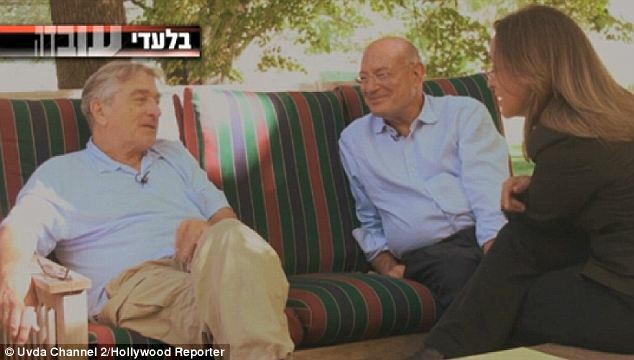 In a far-reaching interview aired Monday with Israel’s Channel 2 TV’s flagship investigative program Uvda, Arnon Milchan detailed a series of clandestine affairs in which he was involved and particularly how he helped purchase technologies Israel allegedly needed to operate nuclear bombs. “I did it for my country and I’m proud of it,” said Arnon Milchan, who ran a successful fertilizer company in Israel before making it big in Hollywood. Even there, Arnon Milchan says he continued with his clandestine work while maintaining close ties with Israel’s leadership. According to an unauthorized biography published two years ago, Arnon Milchan worked for Israel’s now-defunct Bureau of Scientific Relations, known as Lekem, which worked to obtain information for secret defense programs. The bureau was disbanded in 1987 after it was implicated in the spying affair for which Jonathan Pollard, a civilian intelligence analyst for the US Navy, was sentenced to life in prison. Arnon Milchan, 68, also says other big Hollywood names were connected to his covert affairs. “When I came to Hollywood I detached myself completely from my physical activities to dedicate myself to what I really wanted – filmmaking,” he said. Arnon Milchan founded the New Regency film company and has produced more than 120 movies since the 1970s, working closely with directors such as Martin Scorsese, Sergio Leone, Roman Polanski and Oliver Stone. He forged an especially close relationship with Robert De Niro, who along with actors Russell Crowe and Ben Affleck, is featured in Uvda‘s broadcast. “I had heard but I wasn’t sure,” Robert De Niro said, of Arnon Milchan’s activities.